And if you don’t have Yahoo and use Gmail or Facebook, don’t hesitate to get your friends in too! 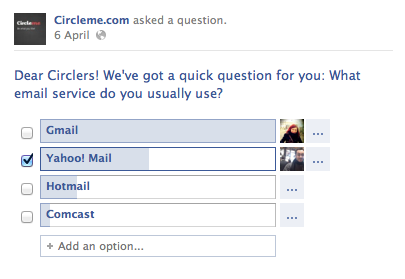 CircleMe is much more fun with friends! What service would you like us to add next in order to be able to invite friends? Let us know commenting on this blog entry, on Facebook or Twitter! will be tweeting this to my followers! Outstanding blog and terrific style and design.